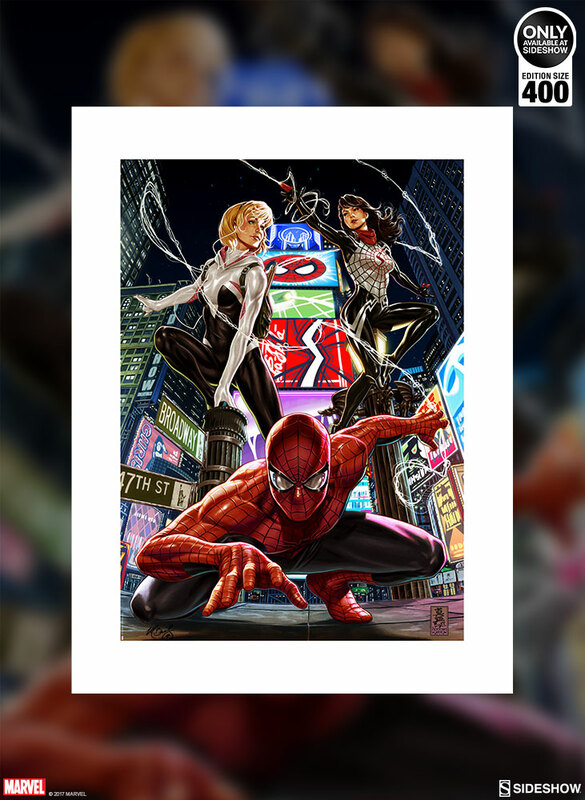 Sideshow is proud to present the Spider-Verse Premium Art Print by renowned comic book artist Mark Brooks as part of his Spider-Verse Artist Series. From across the Spider-Verse, three powerful web warriors have united to take down crime in every reality! 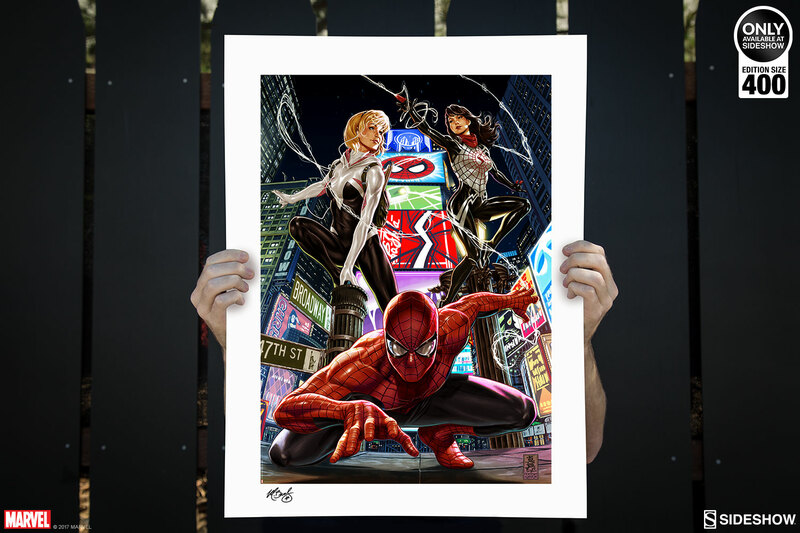 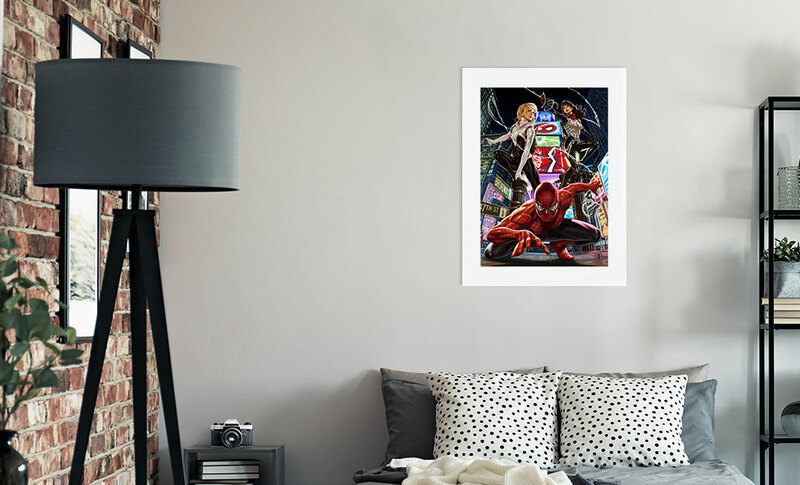 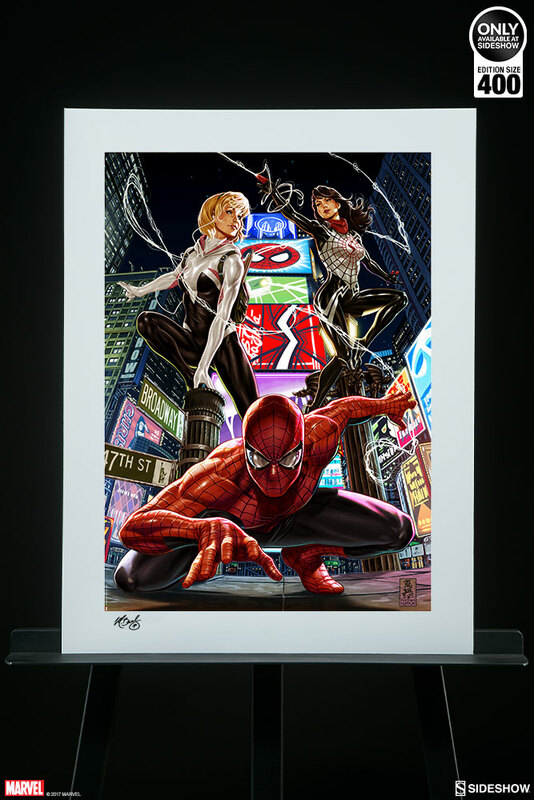 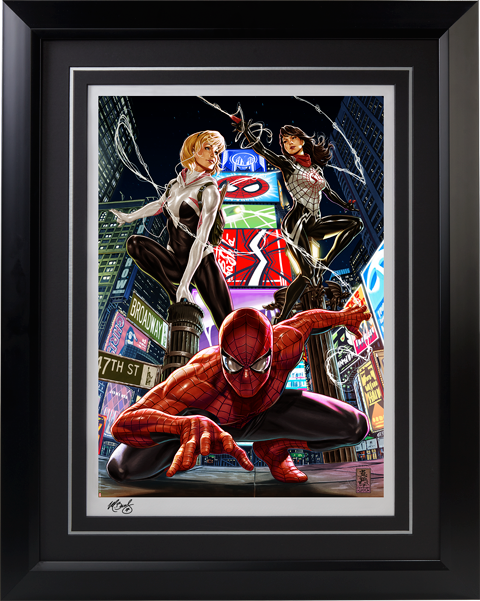 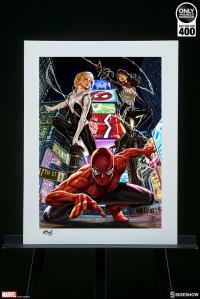 The print features the sensational spider-heroes Spider-Man, Silk, and Spider-Gwen assembled against the vibrant background of Times Square. 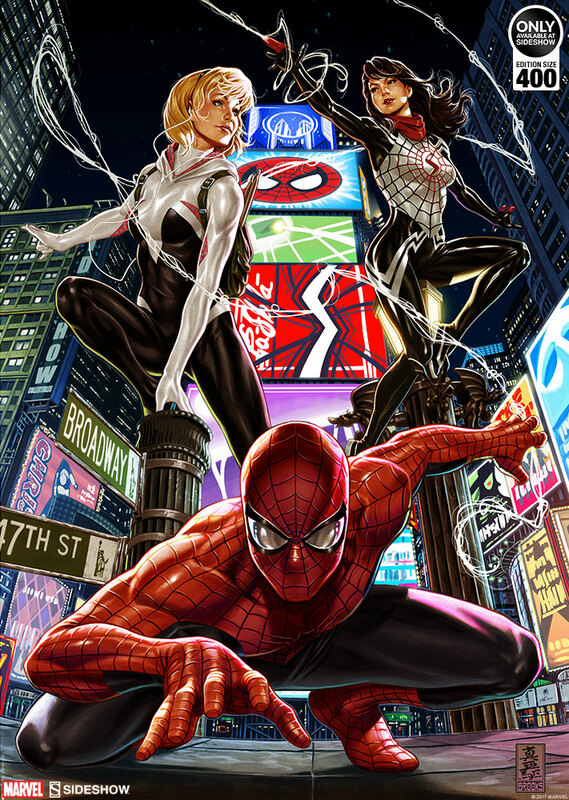 Posed on familiar city fixtures while spider-symbols light the skyline behind, the terrific trio is ready to team up and save the world. 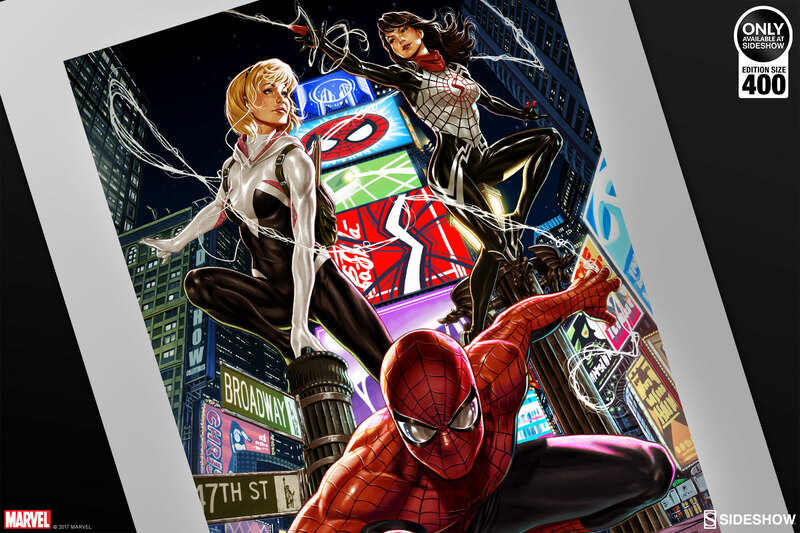 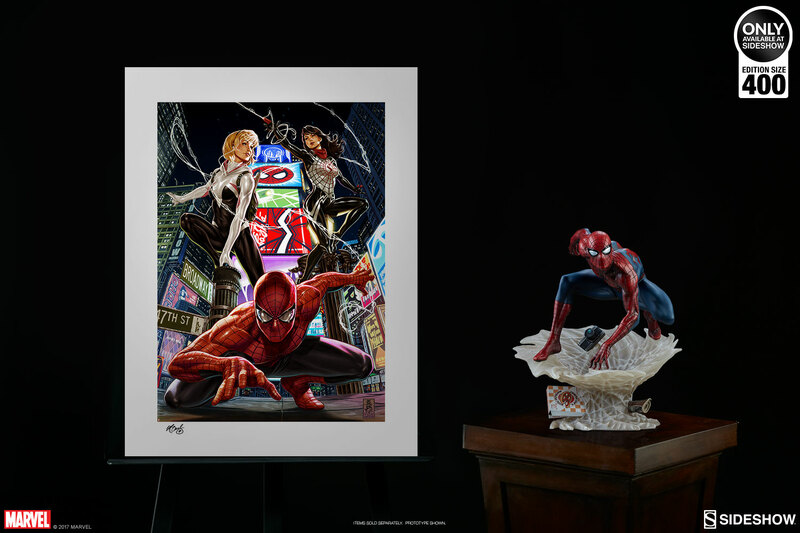 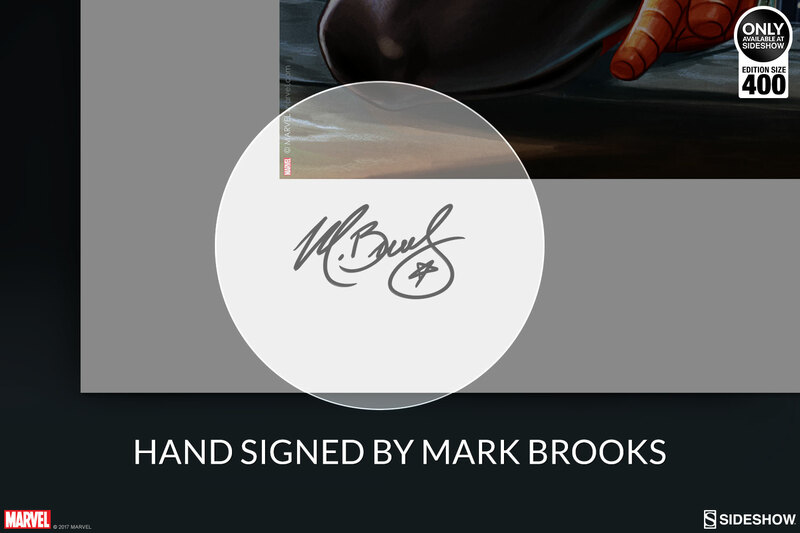 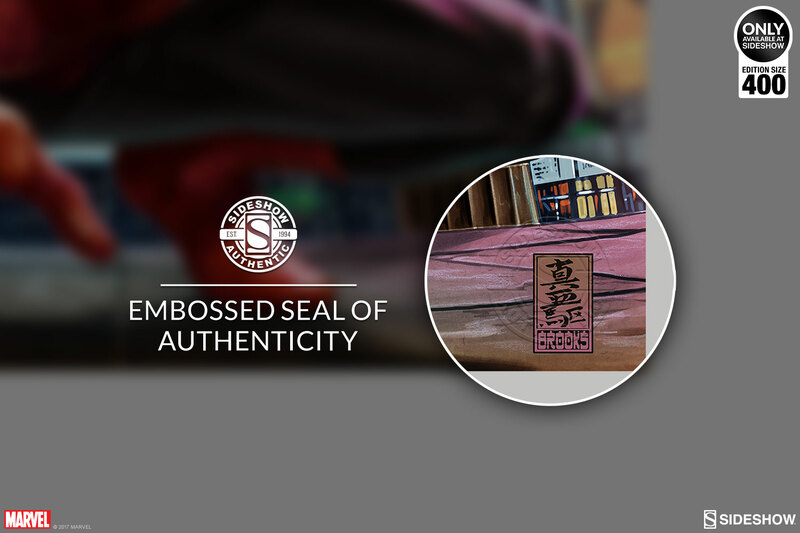 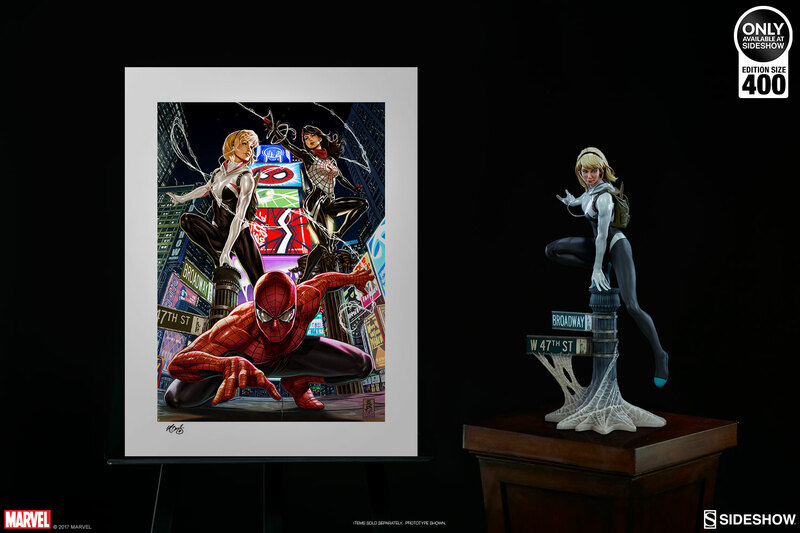 Each Spider-Verse Premium Art Print will be hand signed by Mark Brooks as a part of the limited edition of 400 pieces. Pair the print with the Mark Brooks Spider-Verse statue collection for the ultimate web-slinging setup.